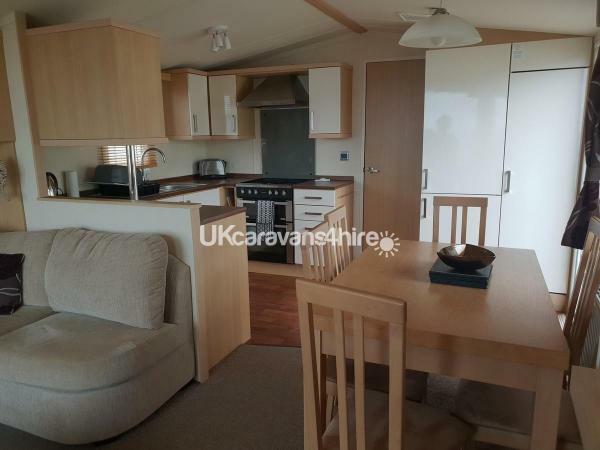 Luxury 2010 Model swift Moselle' 3 Bedroom Caravan. Fully central heated with mains gas and electric. Prime central location within the park. 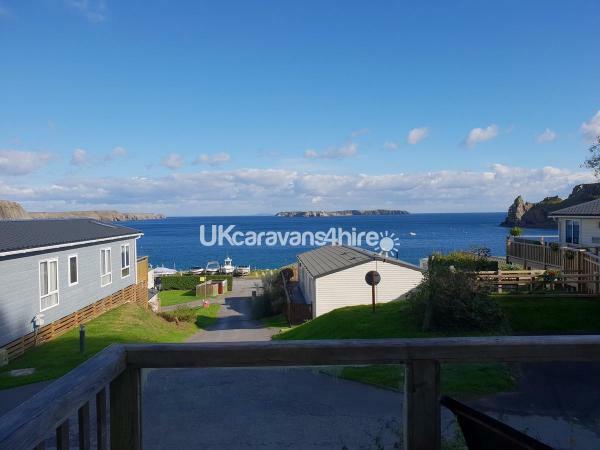 Fantastic views of Caldey Island, Beach & Cliffs. 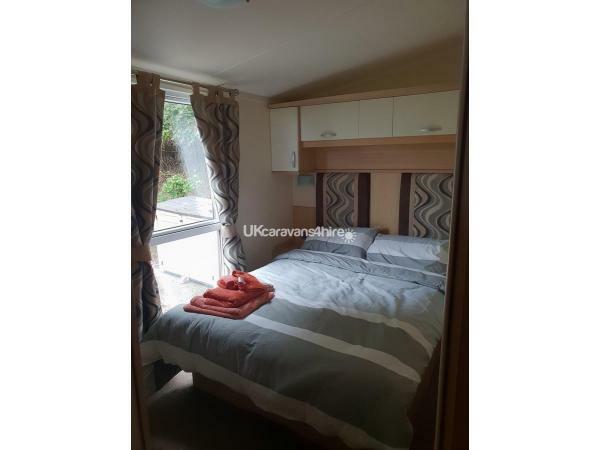 Only 10mtrs from beach and 30mtrs from shop, launderette and children's play ground area. 1 minute walk to clubhouse. Living Room: Spacious living area with wrap around seating on both sides. 50” flat screen T.V, DVD player. 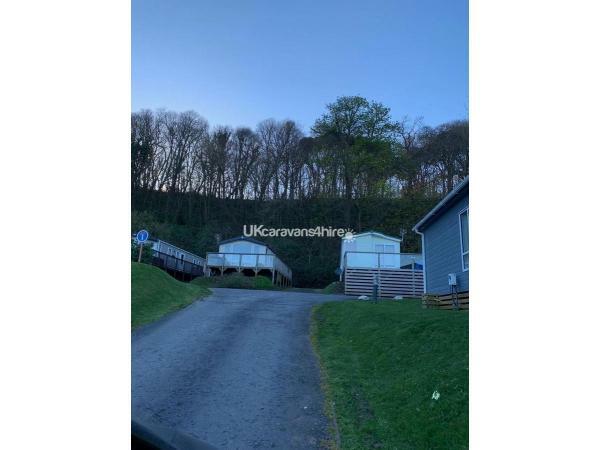 large decking area at front of the caravan. Panoramic views from decking area, table & chairs provided for your comfort. 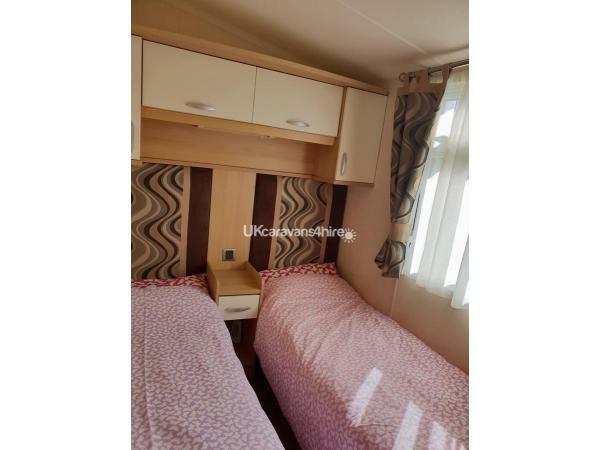 Bedrooms: 1 x Master Bedroom with double bed. 2 x twin rooms, each with 2 single beds. Ample storage space in each room. Duvets and pillows are provided, you will just need to bring your own sheets, covers and towels. 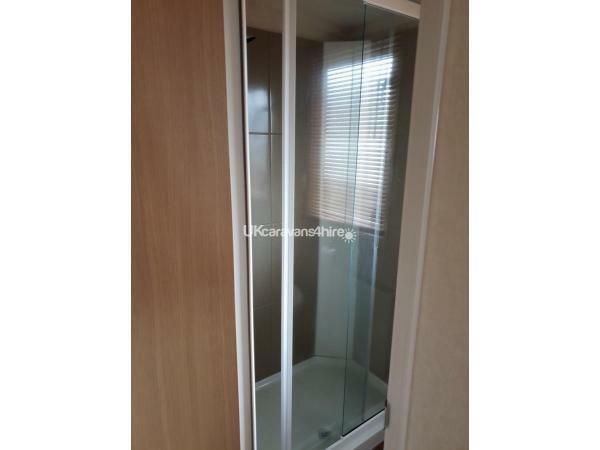 Bathroom: 1 x Shower room, vanity unit and toilet. 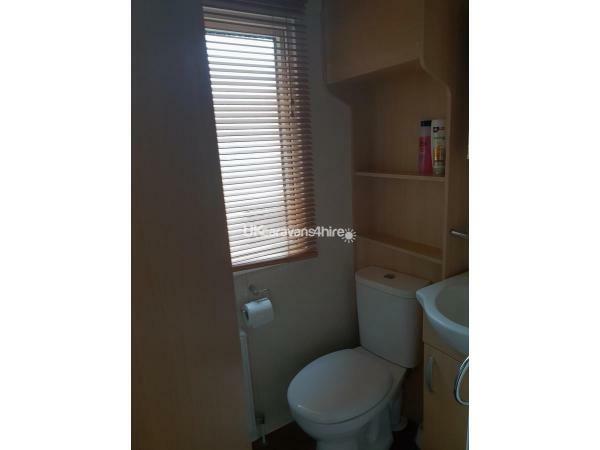 1 x Separate toilet room with small wash hand basin. This pitch also comes with a patio area and private drive with parking for 2-3 cars. The Park: Lydstep is situated in the Pembrokeshire National Park and has gained several conservation awards. Beautiful woodland and coastal walks surround this area. The modernised clubhouse has a good selection of hot and cold food throughout the day and there are many big screen TV's with Sky Sports. Bradley Bear, children's entertainers and a park ranger are present at various times of the day to keep children entertained. Indoor swimming pool, 8 ball pool, darts and other amusements also. Entertainment passes are available at reception for a small fee. No reviews found. 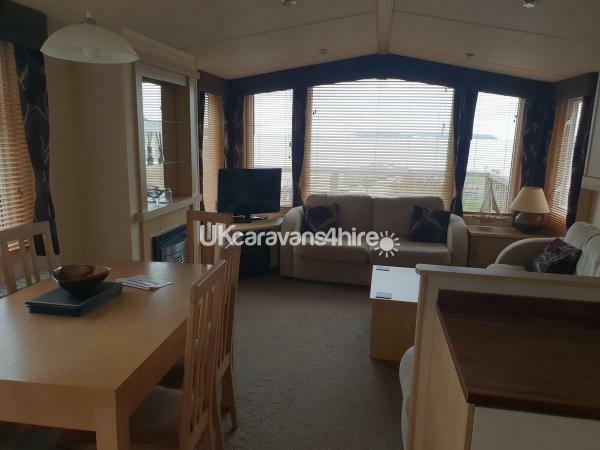 If you have recently stayed in this holiday home please leave a review, it only takes a few moments and will really help future guests when they are searching for holiday accommodation at Lydstep Beach.